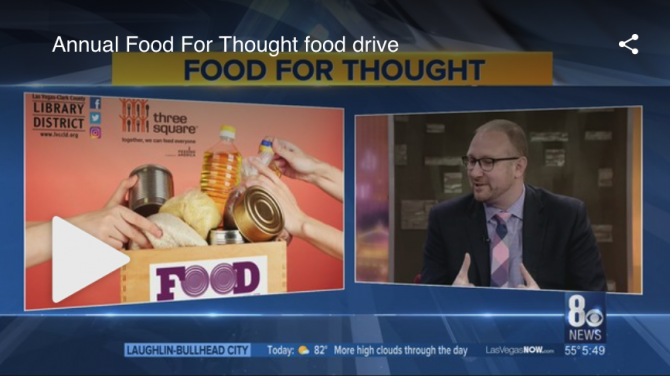 LAS VEGAS - Every year in April, The Library District holds its Food for Thought food drive to benefit Three Square Food Bank. The community is invited to visit any of the District’s 25 branches to donate packaged food items. Each item will get rid of outstanding library fees, such as overdue books, DVDs or CDs. Read more and watch video from KLAS 8 News Now.